Philo T. Farnsworth with Image Dissector. Title Philo T. Farnsworth with Image Dissector. 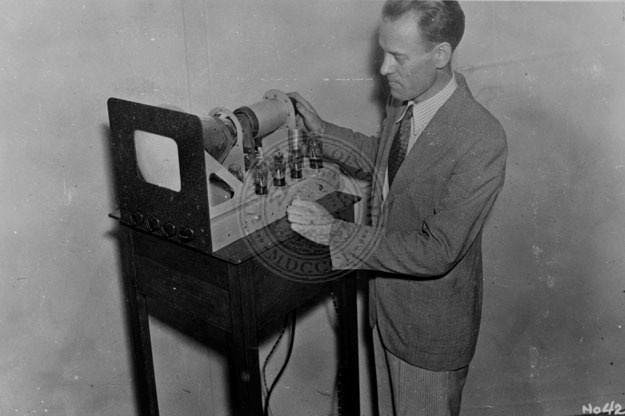 Description Photograph of Philo T. Farnsworth (an American inventor; one of those who invented television), with Image Dissector, taken in the 1920s.